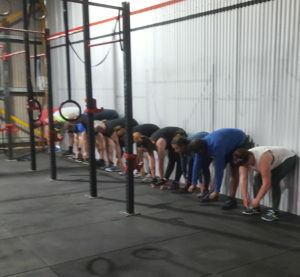 CrossFit Armidale began running classes early in 2012. It began out of my passion for wanting to always find the best way to get our clients the fittest they can be. No one had sought to define fitness the way CrossFit had. Finding CrossFit was a breath of fresh air. No longer were the workouts repetitive or too long. I was amazed to see how varied the work was and that we could easily back up the next day for a workout. It is great to not have that feeling of being unable to climb stairs. The facility here grew from being a completely private PT studio into the studio/box it is today. Most of the day we work with private PT clients utilizing the CrossFit methodology of constantly varied functional movements performed at high intensity to train them and then we quickly transform the space when the WOD is on for the class format. You will find everything you need for the WOD right here, from pull up bars to barbells and wall balls we have it covered. Jim Ridley, the original instructor here at CrossFit Armidale is passionate about every aspect of CrossFit. Having experienced the benefits of CrossFit training he is keen to impart this experience to the masses. Jim has been a keen footy player and enjoys all types of sports. He has now retired from playing football to allow him to concentrate on his next goal of participating in the CrossFit open in the next few years.